Securities Lawyers Helping Clients Recover Money From Across The USA. No Fee if No Recovery! Soreide Law Group, is a securities litigation firm that is committed to helping victims recover financial losses due to fraudulent or negligent conduct on behalf of stock brokers or financial advisors. We are able to represent investors nationwide in the handling of their securities arbitration claims. Our securities lawyers have recovered investment losses due to stock broker negligence or securities fraud from almost every major Wall Street firm in the country. We have brought millions of dollars in securities arbitration claims on behalf of investors before FINRA. 9 out of 10 securities cases Soreide Law Group has brought on behalf of defrauded investors has resulted in a monetary recovery. Of course, results vary and we do not guarantee results. At our firm you don't deal with legal secretaries or paralegals, you deal only with securities lawyers who will keep you informed and provide reasoned guidance during every step of this process. Soreide Law Group has a customer first philosophy and consistently receives rave reviews for superior customer service. One of the most important decisions that an investor can make in the securities arbitration process is the selection of a securities lawyer. Securities arbitration is a unique and complex process that requires highly specialized knowledge to obtain a successful outcome. From the first day forward I knew I was dealing with a true professional in all ways. He is an expert in his field, available twenty-four hours a day, returns phone calls promptly, takes most of his own calls, and apparently surrounded himself with an outstanding staff. As a retired businessman I have been fortunate to find and do business with people who are superior in their field, and Lairs certainly fits the bill. I would gladly recommend him to anyone who approached me. Recommending Soreide Law because he got my money back from my broker who ripped me off. I WOULD HIGHLY RECOMMEND MR SOREIDE. HE WAS ABLE TO RECOVER THE MONEY THAT I THOUGHT WAS LOST FOREVER DUE TO MY BROKERS' NEGLIGENCE. HE WAS VERY PROFESSIONAL AND ALWAYS AVAILABLE. Lars has always been professional to deal with. Select case type... 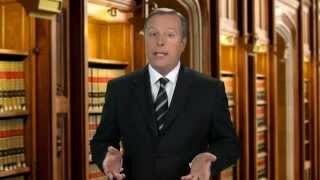 Administrative Law Alternative Dispute Resolution Arbitration Banking Law Civil Litigation Class Actions Commercial Law Commercial Litigation Consumer Law Finance Government Initial Public Offerings Litigation Mortgages Professional Liability Securities Securities Fraud Taxation Other Case type is required.